Thats how my workaround for that feature works. It sends as many list-up or list-down commands are needed to reach the song to be selected and then sends the play-song command. As far as I know with the current XMPlay API I have no other choice. But... for me it works quite well and fast on two different machines. 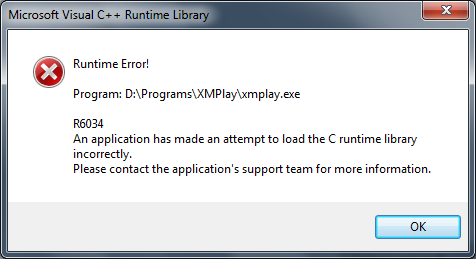 Guess you need to live without that feature until XMPlay API supports more commands. Thats how my workaround for that feature works. It sends as many list-up or list-down commands are needed to reach the song to be selected and then sends the play-song command. It works, but it's a bit slow (when XMPlay is playing song 1 and I select song 450, it takes 1-2 secs and Milkdrop is frozen). But I can live with that. I'm not sure whether IPC_SETPLAYLISTPOS is meant to scroll the playlist (if necessary) to bring the selected track into view; it currently doesn't, but let me know if it should. I'd say it should when 'Follow current track' is ticked for the appropriate playlist view. From my point of view (using Milkdrop), it's not necessary to scroll the play list. The only plugin that uses the IPC_SETPLAYLISTPOS is MilkDrop which directly sends a play command after the setplaylistpos (gets translated to XMPlay shortcut command 372 - List - Play). So I think its fine how it is now without scrolling, as the play command does it if 'follow current track' is set in the options. which toggles the running state of all plugins that have been set up." But where can I find this icon? Also, I'm running the plugin with XPlay ver. 3.4.2.77 on Windows 2000 Professional, using the Nullsoft AVS plugin, ver. 2.81d. If I run XMPlay with AVS, then close XMPlay and reopen, I will get a system "ding" sound when reopening XMPlay. I am able though to play my song and AVS works. Is this a known issue, or can I help somehow to troubleshoot this ding sound? It says "registers a shortcut" (as in a keyboard shortcut) not "adds a button". You should be able to access the shortcuts options from the options and stuff window. Yeah the shortcut setting that you can configure is called "Winamp Visualisation on/off"
The warning-sound issue was unknown so far because I always run my OS's with any kind of annoying sounds completely disabled. But... I know why the warning sound is being played while starting AVS. The starting procedure of winamp visualisation plugins involves two steps. First it asks the plugin to create its own window (like MilkDrop does). If that fails (this is where the warning signal is being played) it opens a window for the plugin to render itself in. That is the reason why the wrapped AVS plugin has the XMPlay icon and MilkDrop for instance doesn't. Great! Thanks for the explanation! Personally I only run vis plugins occasionally, so its not a big deal for me. Considering though that the majority of users would have system sounds on, it might be considered a general annoyance that should be addressed. Which visualization does the MIDI plugin add? I know it has been mentioned, but it would be cool to have the ability to stuff Milkdrop2, AVS, etc. into XMPlay's Visuals tab. xmp-ahx adds a pattern viewer for AHX (similar to the MOD pattern viewer) and xmp-midi adds a visual to display karaoke lyrics. +on the flipside, a pretty articulate note dote view. This works great for Milkdrop, but I am having some trouble with SSpectrA (an audio spectrum analzer). On XP it works just fine. On Vista it runs - and displays in alt-tab. But NOT on the screen. Any ideas? Thanks for your work regardless. Not working with the latest Milkdrop. It is now dependent on Microsoft.VC90.CRT dynamic library which is not being correctly loaded by XMPlay and that causes two errors. Isn't that the same reason why the latest versions of in_mp3 and in_ogg can't be used to tag files in XMPlay anymore? Dunno if anything can be done about that. I decided to try this plugin again and I'm observing that it works fine on my Win7 x64 system for running Advanced Visual Studio v2.83, by selecting vis_avs.dll in Winamp's directory. If you're having some trouble getting this to work, try running the MS DirectX Web Updater in order to install missing DirectX files on your system. I'm still having trouble getting Milkdrop 2.2 to run though. I get a missing dll error (msvcr90.dll). Even after installing this dll in the same directory as the vis dll, I get an error about msvcr90.dll failing to load correctly. The plugin runs fine in Winamp. So far I have Milkdrop v2.0e, which works fine. Is it very different from 2.2? Thanks, v2.0e works great. Stunning visuals. I don't know what 2.2 offers over 2.0e, but I'm finding posts that others are having trouble getting this plugin to work in players other than Winamp. putting msvcr90.dll in the windows/system32/ directory eliminates one of the two errors. I suppose it just miss the other libs. I'll do some testing. mmm, done as instructed, and indeed it works now. too bad you've got to dl a whole SDK for it XD. btw, is it ok to attach the dll (the milkdrop one) to the post? or you didn't do it with a reason behind? Yup, this way we can fix all the plugins that have this issue, and possible future version too. Too bad the SDK is so damn big, expecially compared to the plugin size. Thanks a lot for the instructions, easy to use even for me (tehehe).